You do write beautifully. And such a beautiful area. A friend went out there after high school and sent back a picture of a sunset that brought tears to my eyes. I’ve traveled extensively throughout my life, but rarely within the US. As I get older, I’m beginning to recognize that the time has come to make an effort to see more of this magnificent country while I’m still young enough to get around. 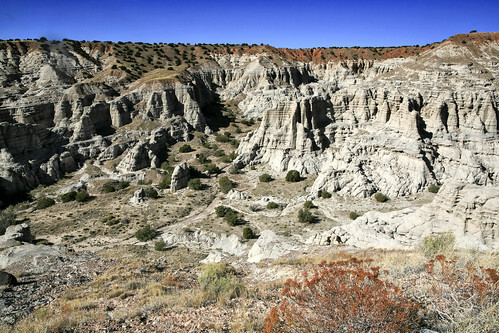 I’ve just added Northern New Mexico to my list. 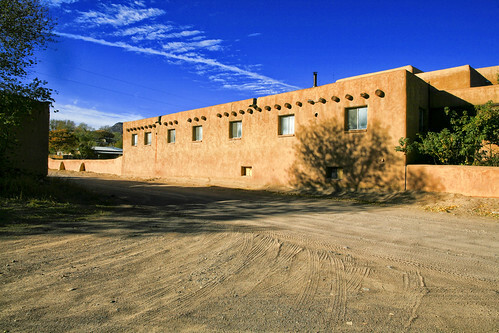 I was in Taos for a workshop in May and then a friend and I went to Abiquiu for two nights. We drove up to the Penitente Morada and to Plaza Blanca and tried to go to Dar Al Islam, but it was closed to visitors–a retreat was in progress. However, we had the amazing good fortune to stay in a house built by a man who did most/all of the woodwork inside Dar Al Islam. He is from the Netherlands. 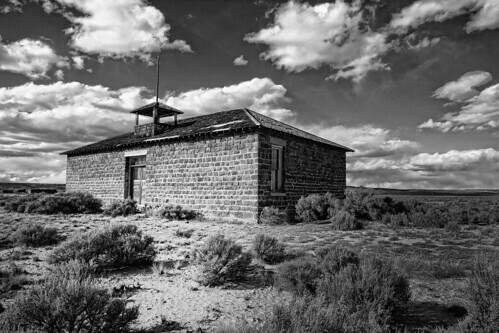 He and his wife came to Abiquiu when the mosque was being built and, because he had so many requests for work, they just stayed. Your prose articulates so well everything I felt about that place and that landscape. Thank you. First time visitor to your site and I couldn’t wrest my eyes from your violent, lucid prose. Well done. Keep it up. I need to visit New Mexico now. James, Yes! 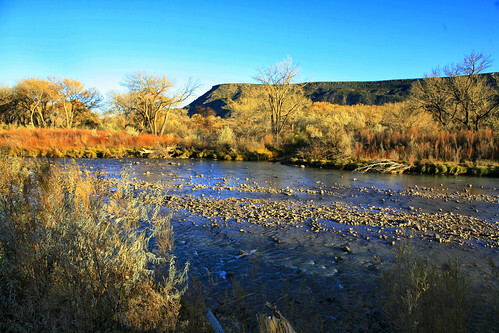 I forget you guys are much more familiar with the beauty and appeal of Northern New Mexico than I! I’m just glad it finally hit my SRT radar. Now I’m just working on a way to get back. 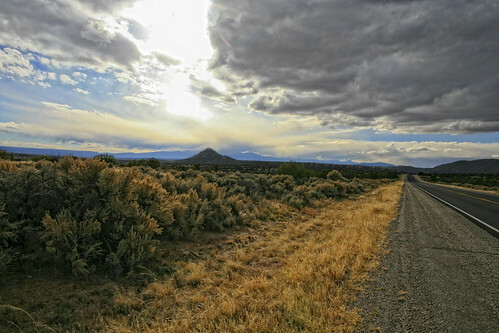 Tam, we LOVE northern New Mexico near Las Vegas. Such a change from the land we live in Louisiana. Love your pics. Makes us want to revisit soon! Steve, I didn’t make it to AZ this last trip. I have plans to make it there the next one, assuming I can get past Abiquiu. May have to close my eyes as I pass through town. Okay, squint them. Camels & Chocolate, it is expensive to fly there! I flew to Santa Fe the first go, then drove the next. I equate flying into Santa Fe with flying into Jackson Hole. Tiny airports in resort towns = $$$$. VM, interesting observation you’ve got there. I believe you may be onto something with that supposition. Although I do love Montana. I just never seem to make it that far on my SRTs. And there’s nothing wrong with Colorado. Just doesn’t seem to have the “frontier” appeal the other 3 possess. Thank you everyone for your comments! 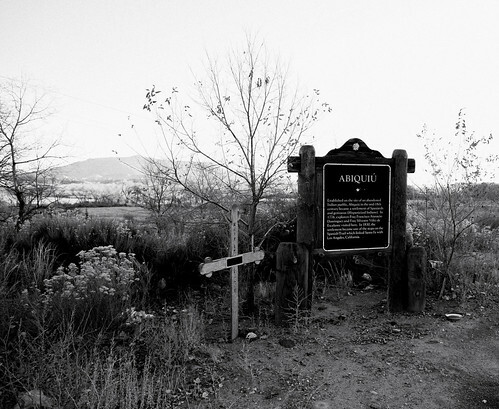 There will be several posts on Abiquiu, so check back. I’ve always had this theory. You either like New Mexico and Wyoming, or Colorado and Montana. I’ll take NM and Wyo. Wow! I see the contrast and the delight in your discovery of this dramatic landscape. Catching the feeling of place with your words and pictures takes me to places I’ve sometimes seen but never been. Keep trip pin’ ! You nailed it. 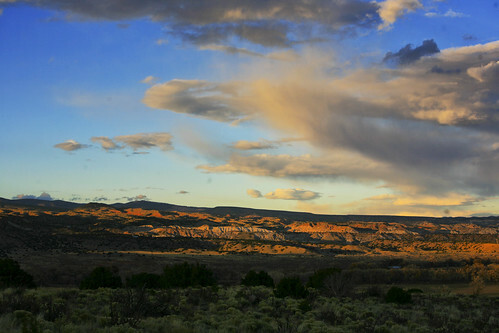 We love Abiquiu and the beautiful country that seduced Georgia O’Keeffe and changed her life forever. We’re lucky that it’s just a bit over an hour drive. Your photos do justice to the hauntingly beautiful country. BTW, did you get to AZ? Amazing photos! Thanks for this great post, I look forward to seeing more. Looks incredible! 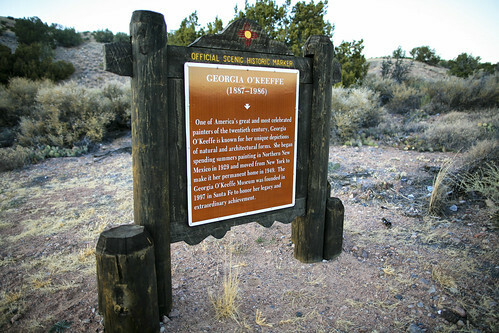 I’m eager to explore Georgia O’Keeffe’s stomping grounds. Your prose is as delightful as the pictures are beautiful. And to ramble about Georgia O’keeffe’s canvas must have made a wonderful adventure. Thanks for sharing!